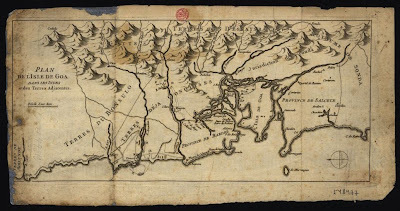 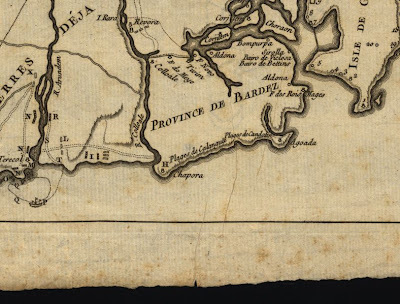 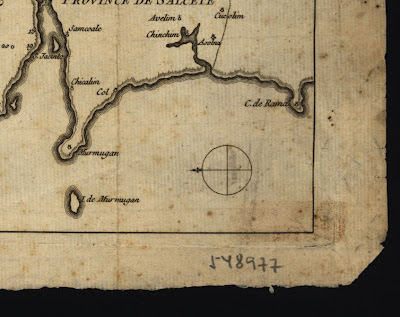 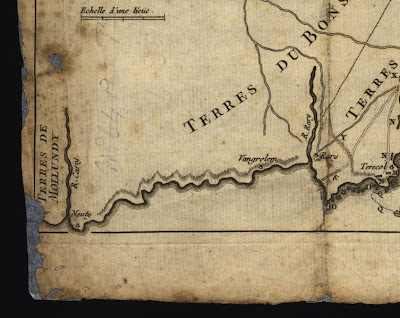 The importance of this rare French map from the 1700's is in depicting some of the Old Conquests from the territories that would be absorbed shortly into the New Conquests. 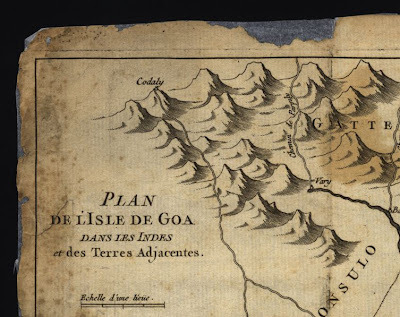 To the north of Bardes, the "terres de Bonsulo" refers to Bhonsle, or more precisely, Sawantwadi territory. 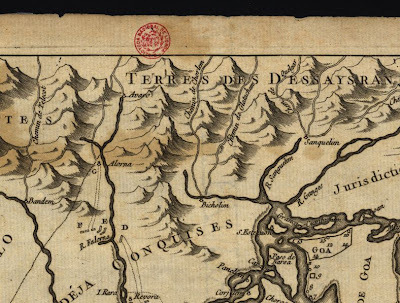 The so-called 'terres deja conquises' in between refers to already conquered territory. 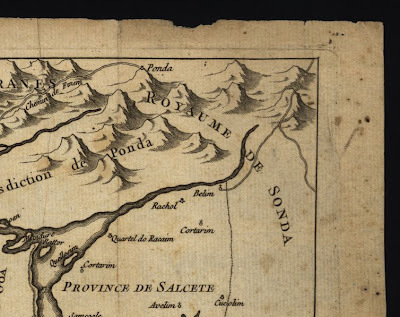 To the east, is the jurisdiction of Ponda and south of the province of Salcette is the kingdom of Sonda which encompasses present day Quepem and Canacona.